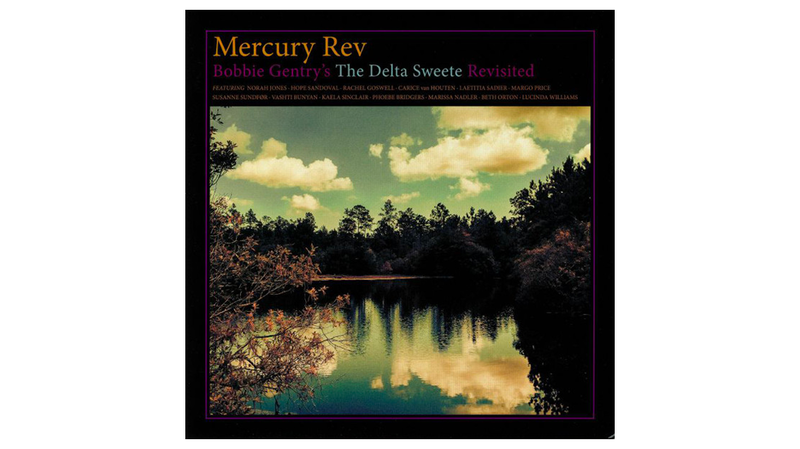 Starting out as a vanity project for Mercury Rev (which they only intended to play for friends), the three year project of reinterpreting Bobbie Gentry’s second album The Delta Sweete turned into a labour of love that the band finally deemed ready for public consumption. The project mixes and matches a different female artist to sing a version of each of the Bobbie Gentry songs from the album as they are backed by Mercury Rev as the ‘house band’. Gentry was a trailblazer in that she was a country artist who found herself atop the pop charts before returning to her musical roots. The Delta Sweete was a record that spoke to her formative years in Mississippi and is now given a working over by the lush and cinematic indie stalwarts Mercury Rev. The New York purveyors of cool have always had an ear for the opulent, and with that in mind have assembled a collection of singers who are adept at singing folk, country and jazz inspired tunes. Hope Sandoval gives an unhurried air to the blues classic Big Boss Man, with the type of sultry delivery that is hard to wash off. Jessye’ Lisabeth is handled with ease by Phoebe Bridgers who delivers a restrained whisper that is as comforting as a room full of blankets. In spite of the few moments that work, the album as a whole is pretty lacklustre. Lucinda Williams’ singing Ode To Billy Joe appears to be an afterthought, and Norah Jones is well below par considering her pedigree. Margo Price tries her heart out during Sermon, but isn’t given much to work with as the arrangement never gets out of first gear. There are some moments that are pretty when taken in isolation, but as a whole The Delta Sweete Revisited is uninspired and pedestrian. It’s a record that does little to play to Mercury Rev’s strengths. By abandoning the voice of Jonathan Donahue they lose some of their eccentric sound, and deliver a record that has little appeal to either fans of Mercury Rev or fans of Gentry. At least Mercury Rev can lay claim to taking a commercially unsuccessful record and making it even more maligned.